The Northern Ireland Assembly recently hosted a visit by His Excellency Andris Teikmanis, Ambassador of the Republic of Latvia to the UK. The visit was part of the Ambassador’s 2 day visit to Northern Ireland to mark Latvia’s Presidency of the Council of the EU from January to June 2015. The Ambassador held an informal meeting with Committee Chairpersons and discussed Latvian’s programme for the Presidency and their priorities of competitive Europe; digital Europe; and engaged Europe. With reference to competitive Europe, the Ambassador discussed the strengthening of the Single Market and enhancing competitiveness of businesses across Member States. In addition, he highlighted President Juncker’s investment plan aimed at unlocking public and private investment across the EU. On digital Europe, the Ambassador highlighted the drive to fully exploit the digital potential in Member States and the promotion of the ‘digital by default’ agenda. A Digital Assembly will be held in Riga in June 2015 and will include topics such as Open Data and other emerging issues relating to the establishment of a digital economy across the EU. With regards to engaged Europe, the Ambassador discussed the importance of the EU’s Eastern Partnership and the review of the European Union’s Security Strategy. In addition, he discussed progress on the trade agreement with the USA through the Transatlantic Trade and Investment Partnership (TTIP) but also negotiations on Free Trade Agreements with Canada, Japan and Vietnam which will be advanced during 2015. 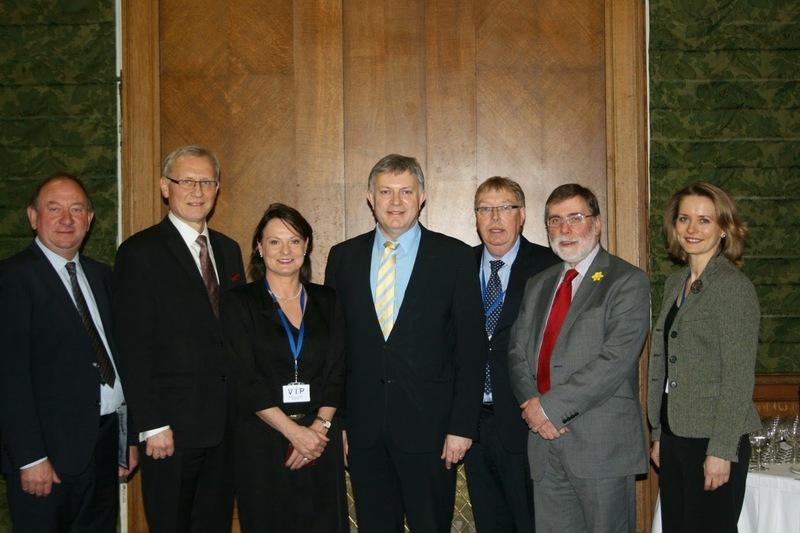 Assembly Committee Chairpersons took the opportunity to discuss a range of topical issues with the Ambassador. Chairperson of the Committee for Culture, Arts and Leisure, Nelson McCausland MLA discussed the development of the Latvian economy and the diversification of trade. The Ambassador highlighted that Latvian trade with the UK in goods and services is predicted to be over €1 billion in 2015. Chairperson of the Committee for Enterprise, Trade and Investment Patsy McGlone MLA discussed the support for small-medium sized enterprises, energy costs and energy security and access to finance. The Ambassador highlighted President Juncker’s investment plan and the role of public/private finance as well as the recently issued Green Paper consultation on Capital Markets Union which aims to help businesses access alternative sources of finance through capital markets. Chairperson of the Committee for Agriculture and Rural Development William Irwin MLA raised the impact of the Russian ban on agri-food products, particularly on the dairy and pork industries. The Ambassador discussed the impact of the ban on the Latvian agri-food industry and highlighted efforts by Latvian producers to diversify their customer base. Following the informal meeting with Chairpersons, the Ambassador met with the Minister for Finance and Personnel, Simon Hamilton MLA. The culmination of the Ambassador’s visit to the Northern Ireland Assembly was a concert and reception hosted by the Speaker of the Northern Ireland Assembly Mitchel McLaughlin. Introducing the musicians, the Ambassador highlighted the important role of the arts and music in Latvian culture. 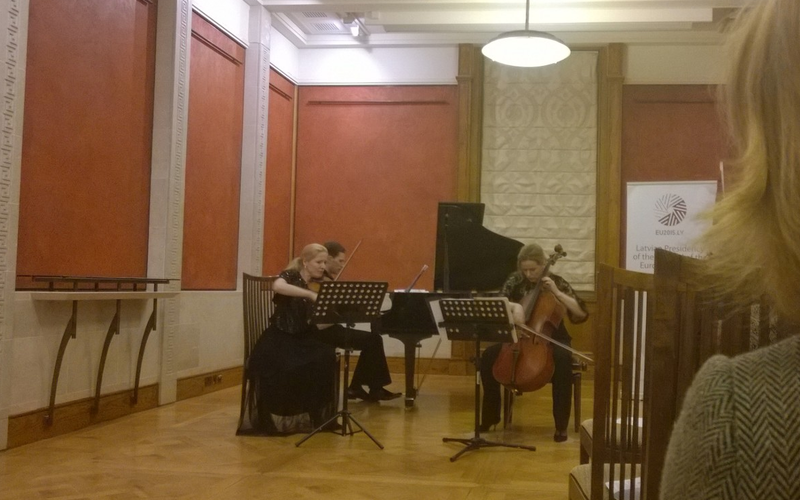 The performance by three leading Latvian musicians working in the UK – violinist Eva Bindere; cellist Kristina Blaumane and pianist Reinis Zariņš included pieces by Ravel, Rachmaninoff, Turina and Plakidis – closing with a moving performance of Danny Boy. 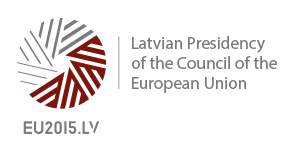 Find out more about the Latvian Presidency of the Council of the EU. The Assembly publishes a regular 'EU Matters' Newsletter. Sign up on our website and follow on twitter @niaeumatters.